Duel is a 1971 television thriller film directed by Steven Spielberg and written by Richard Matheson, based on Matheson’s short story of the same name. It stars Dennis Weaver as a terrified motorist stalked on a remote and lonely road by the mostly unseen driver of a mysterious tanker truck. Duel is often named as one of the best TV movies of all time. Following a successful TV airing, Universal released Duel overseas in 1972. 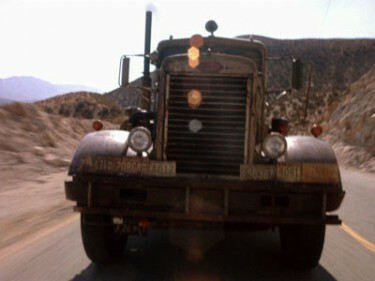 Since the TV movie was not long enough for theatrical release, Universal had Spielberg spend two days filming several new scenes, turning Duel into a 90-minute film. Although this is normally considered Spielberg’s feature-length directorial debut, it’s not. He directed an episode of the NBC series, “Name of the Game” a year earlier, preceded by a “Night Gallery” segment and several other TV episodes.